Shower in a rain forest with our strongest-scented bar. Indonesian Safflower makes people crazy. 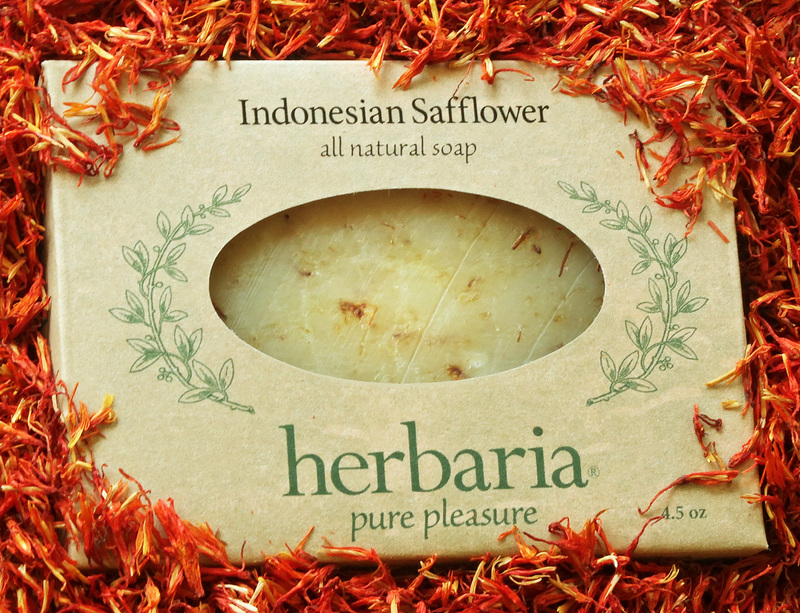 In addition to the lovely safflower blossoms scattered throughout the bar, it contains a heady blend of sweet basil, ylang-ylang, vetiver, and patchouli. It's our strongest scented soap. Basil oil is said to aid concentration and clarify the mind and ylang-ylang is reputed to stimulate the senses and induce feelings of well-being. You will definitely feel altered after an experience with this bar. Two Tahitian Women, painted by Paul Gauguin. The women hold a bowl of safflowers, one of humanity's oldest crops.